The Amiga was one of the most powerful and wide srpead computers in the late 80’s. This talk explains its hardware design and programming. The Amiga 1000 appeared in 1985 and was followed by the Amiga 500 a few years later, which had the same design concept but was a little bit more powerful. 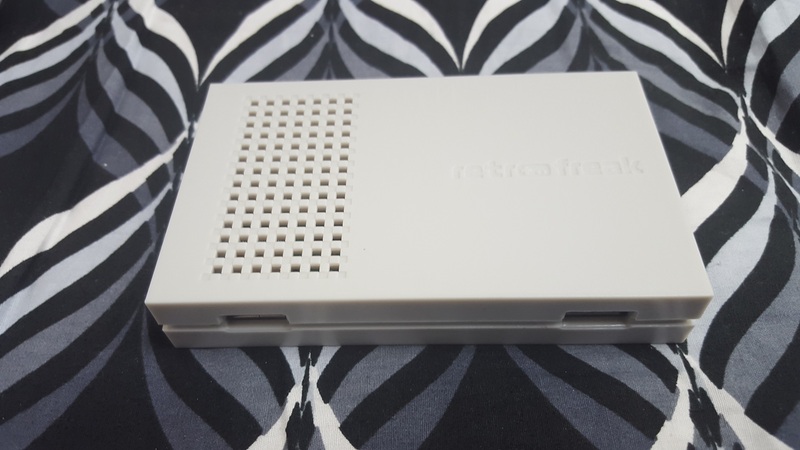 The hardware design was highly sophisticated and powerful and was years ahead to other computers at the time then. 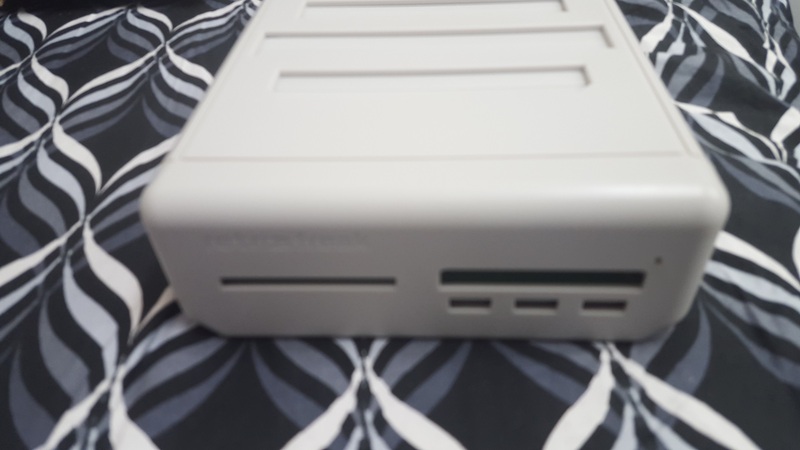 Equipped with the Motorola 68000 Microprocessor as the CPU which was internally a full 32 bit processor and several additional co-processors for various complex DMA tasks it was perfect for graphics-intensive software. This talk explains the hardware in detail, how all those processors interacted and how it was programmed. 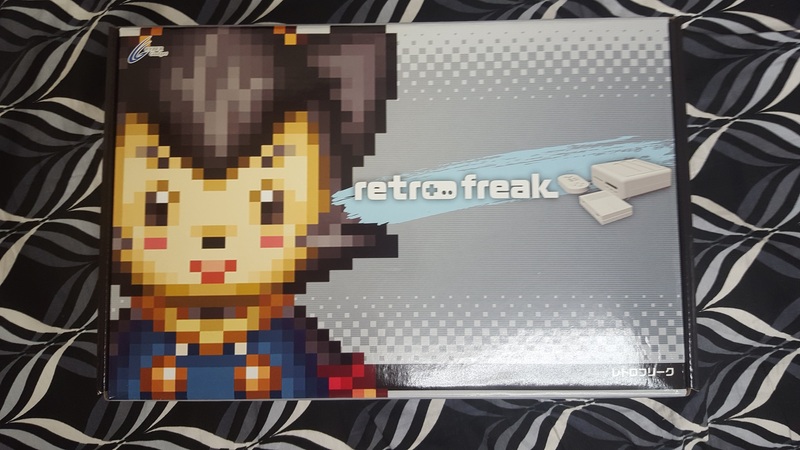 So I apparently have more time to spare, so lets get this one out of the way, the Retro Freak! 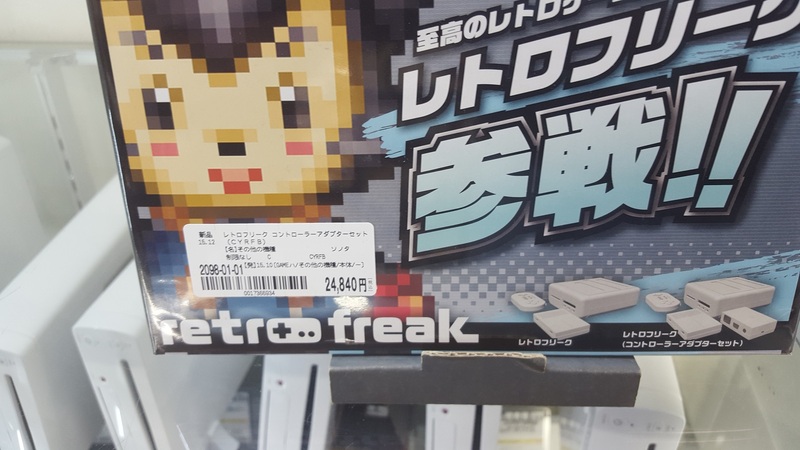 The Retro Freak in the wild! I saw these originally for demo during an Electronic and game show in Hong Kong. A vendor in Taiwan who claimed to be the manufacturer was willing to sell the units to me (in bulk mind you!) these units for $160 USD in qty 15-100. So it was a LOT more than I was willing to spend as this is no doubt an expensive retro console to device. And much to my surprise I’ve seen them out in retail world for sale with prices ranging from ¥18,000 to ¥24,480. And that was a major surprise. So I bought one retail for the price I had been quoted back in the autumn. As you can see this is the box. And yes that is the bed in the house I’m currently renting. Such a festive background. Once I purchased it, and they counted the cash it was opened up, and they put their store chop on it. Unfortuantly they used crap ink, and I have to dig out the receipt. But it was the cheapest price, which put it at $150 USD (before the 8% tax). The most utterly dull and uninspiring console ever. The plastic feels VERY cheap too. 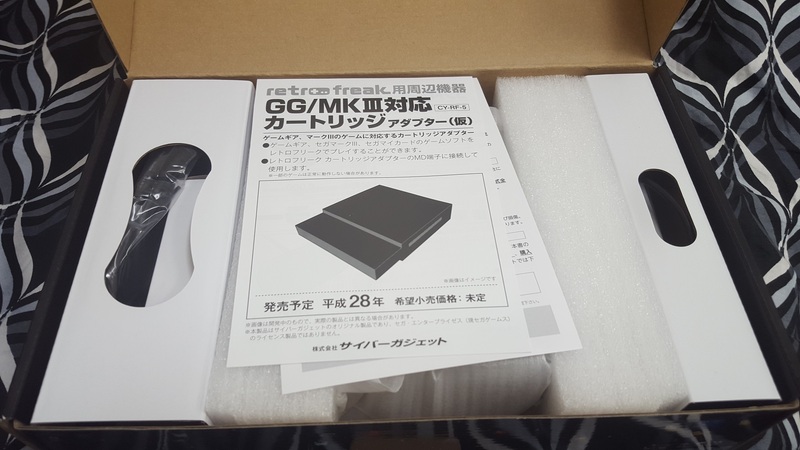 Holding something like a Mega Drive (Genesis), or a Super Famicom feels so solid. And the SONY gear is top notch. This is just featureless dull soft gray plastic. And not even a logo, or any real surface features save a power LED. It just feels cheap. Now one interesting thing, is that the majority of the body is actually the cartridge reader. You have the ability to flip it over, and slide out the actual console, which is much smaller, and cast in the same dull and cheap plastic. The console has 2 USB ports for 2 controllers. I haven’t seen any USB SEGA controllers (what the hell are they doing? Is there that much money in Gundam VR, and Pinchino?) But there is lots of knock off Nintendo USB controllers. I have some to test later that I scored for 700 YEN. Flipping it over, reveals that it is made in China, and it is made by Cyber Gadget, out of Japan. Turning the unit on, doesn’t reveal any fancy startup screen or logo, just a language selection. There is online help, but of course its in Japanese. I am still not sure if you can just plug and play cartridges at will. It also doesn’t like it if you just power it off abruptly. It detected just fine, and I was able to play without issues. 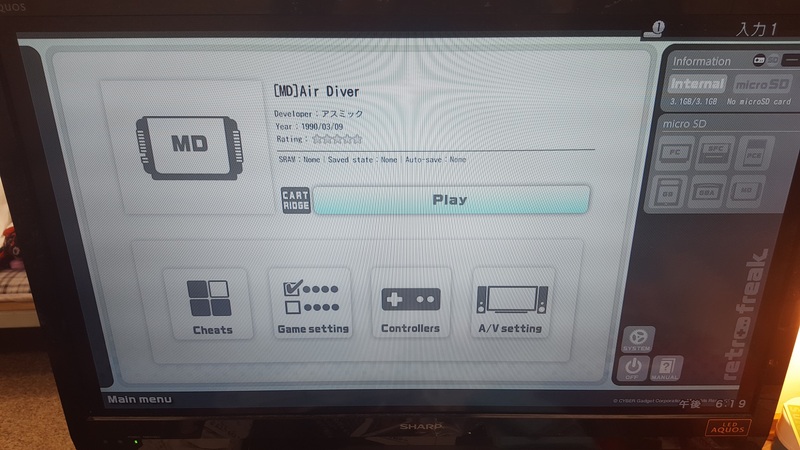 Playing the game was much like the real thing, and you can add all kinds of screen filters, and other things to make your LCD TV behave like a CRT including overscan, and some saturation if you go further into the video settings. The bundled controller is more SNES+WiiU feel to it. Again I am just bummed out there is no SEGA knockoff stuff. The good part is that it supports a crazy amount of formats! Which is pretty cool. I always wonder why nobody has approached SEGA on licensing the BIOS for the MEGA-CD, or the 32x. Naturally SONY wasn’t too thrilled about emulation of the Play Station 1 from a long time ago. 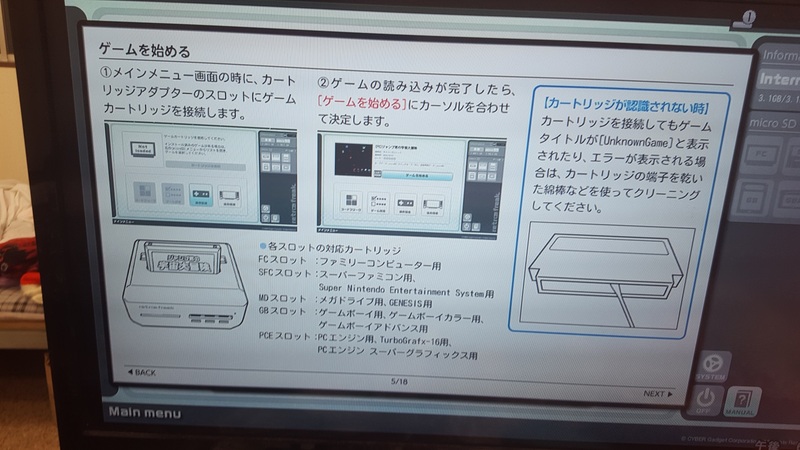 So the plus is that this does a LOT of emulation for the buck, if you want to read your own cartridges. The practical side says that they have all been downloaded and converted ages ago and are trivial to find online. It isn’t as cool as the actual hardware, but considering it is new it is much cheaper than buying and recapping a bunch of machines. 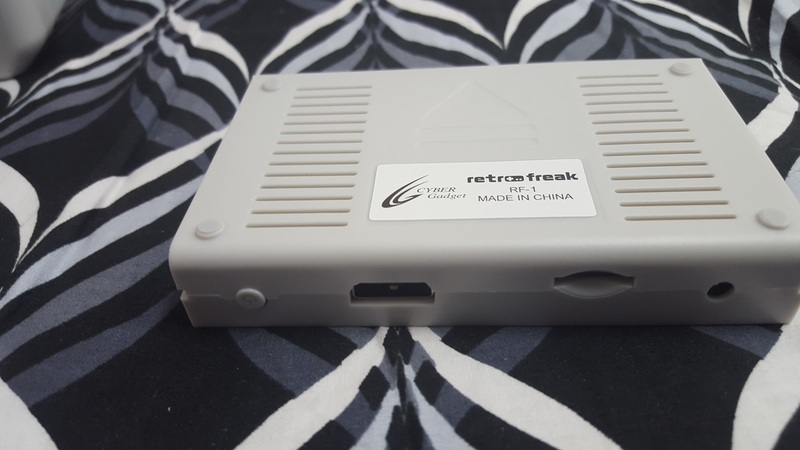 And honestly, you would probably prefer the retrode 2, which is a USB peripheral to read Mega Drive, and Super Famicom (Gensis and Super Nintendo). 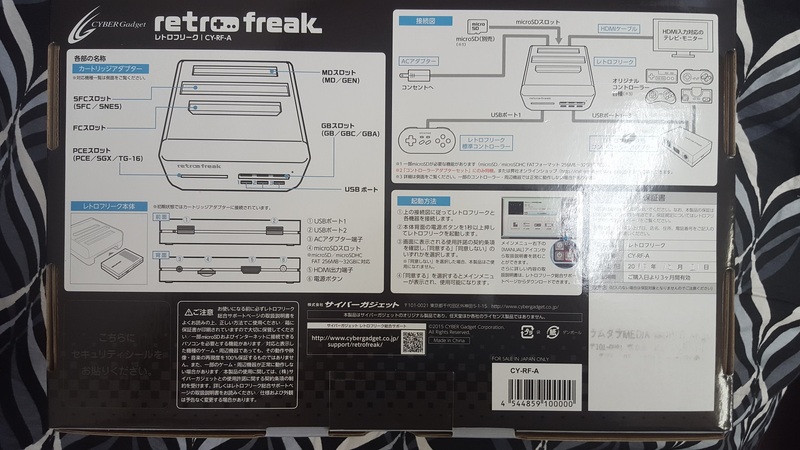 While the Retro Freak does read many more formats it is better suited to someone who “just wants the damned thing to work!” And it succeeds in being a magical box you can slap the cartridge into, and start playing. And of course a fork of the Linux kernel. So yeah, I’ve been crazy busy this holiday season, between work and vacation so updates have . well not been forth coming. I wanted to touch on old StarWars games for the new movie, and even got to play Star Wars on a x68000! If it were the 80’s I would super recommend one. But in this day/age it’s plagued by poor draw distances, poor wire frame 3d, and just poor game play. It is probably more of a fault with the arcade version that was revolutionary for it’s time, then it rotted and was ported out. Something like Frontier puts Star Wars to shame on low grade 68000 based hardware. But the sound, sure was awesome! There is next to NO Mega Drive stuff. There is far more Saturn, and very few Dreamcast, but I’s seen maybe 15 Mega Drive carts. Meanwhile I’ve found Famicom/Super Famicom stuff almost everywhere I look. My favorite is the local chain “Book Off” that almost always has a nice retro section, along with used PS1, PS2, PS3 and PS4 stuff. Otherwise, I have horrible to non existent internet in the house I rented (it is like the yacht in Hong Kong from a few years back), so I’ve been forced to spend my time in internet cafes for 12+ hours a day. Oh yeah, Tokyo is just like London. After 6pm, everyone goes home, the stores close, and there is nothing open. After 10 the trains stop and that is that. While I’m on the subject of living in the future, and working physically wherever, the Microsoft Surface is a HORRIBLE HORRIBLE thing. Granted I didn’t pay for this one, but it’s wifi chip is utter crap, it is prone to locking hard, and the kickstand and detachable keyboard is a JOKE. I know Balmer wanted in on the iPad action, and then the Surface RT, eventually became just another PC, but damn a laptop this is not. The only nice thing I can say is that it boots fast. Which is something you’ll be doing lots of. The fan is noisy and distracting, the display is OK, but nothing fancy in this modern age. I currently had to go out and buy 2 USB Ethernet adapters and bridge the cafe’s internet so I could connect this POS. I give the Microsoft Surface Pro v3 a 1/5*. AVOID DO NOT BUY. In the “neato” section, I did find an eval copy of Citrix. And a NIB quality box of Postal 2! I didn’t know there was any updates so that was a surprise. But now I see it is on sale over on Steam, for $7.50 Hong Kong Dollars. I would do some give away but I also found out that my account got converted. YAY. 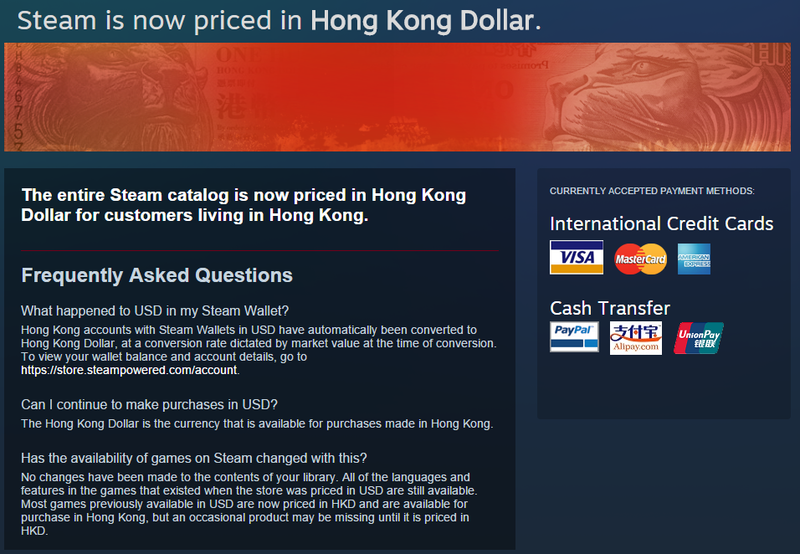 Steam is now priced in Hong Kong Dollars! Which means I cannot give anything away as apparently I now live in a poorer area and get subsidized games. I guess that is to make up for censored and restricted catalogs. So yeah, I am alive. Crazy to think that 2016 is literally around the corner! 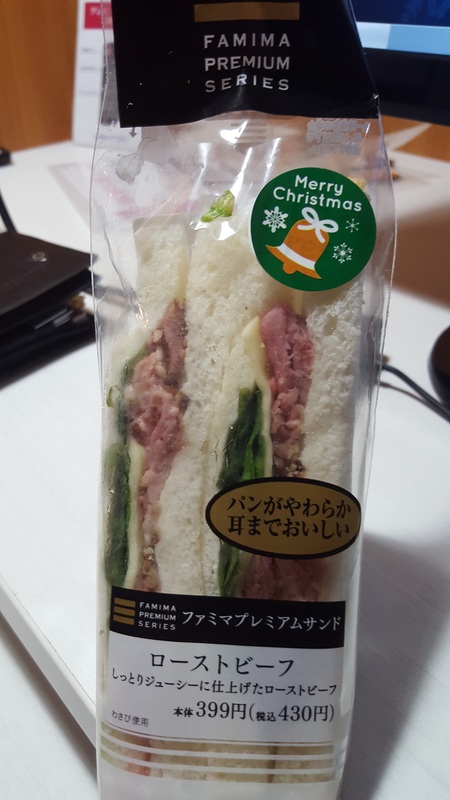 Author neozeedPosted on December 24, 2015 December 24, 2015 Categories japan, japanese software, microsoft, random updates, sega6 Comments on Merry Christmas from Japan! I don’t know how I missed this, but there is a MDL interpreter that can run MDL Zork! This Zork created December 2, 2015. A rubber mat saying ‘Welcome to Zork!’ lies by the door. No PDP-10 should be without one! (c) Copyright 1978,1979 Massachusetts Institute of Technology. How is that for cool? The MDL interpreter is called Confusion by Matthew T. Russotto, and can be found here. There is even a port to Windows, by David Kinder back in 2009! I don’t know how I missed it, but this is as close as you can get to the original 1979 experience. Speaking of which, gunkies should be on faster hardware, and the DNS records should be updated by the time you read this.